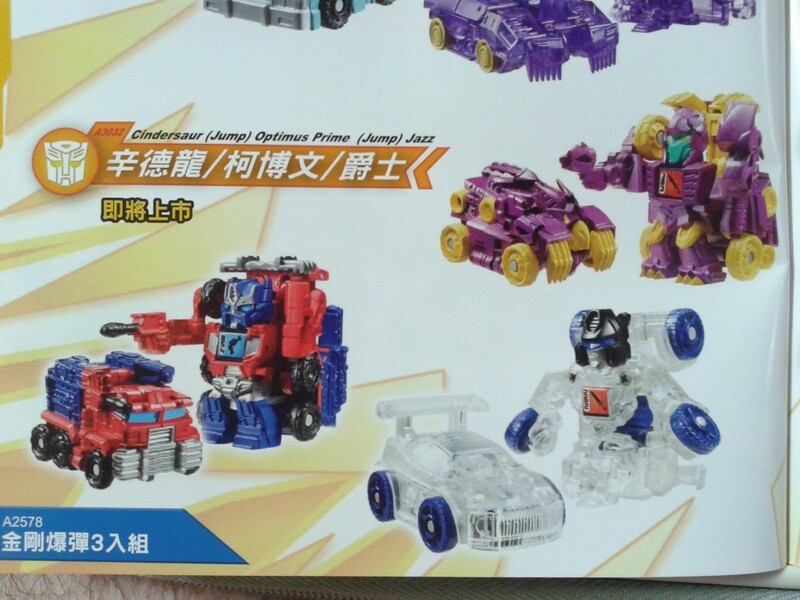 Member named prime roller from tfw2005 message boards posted a selection of images from a Taiwanese Transformers catalog. 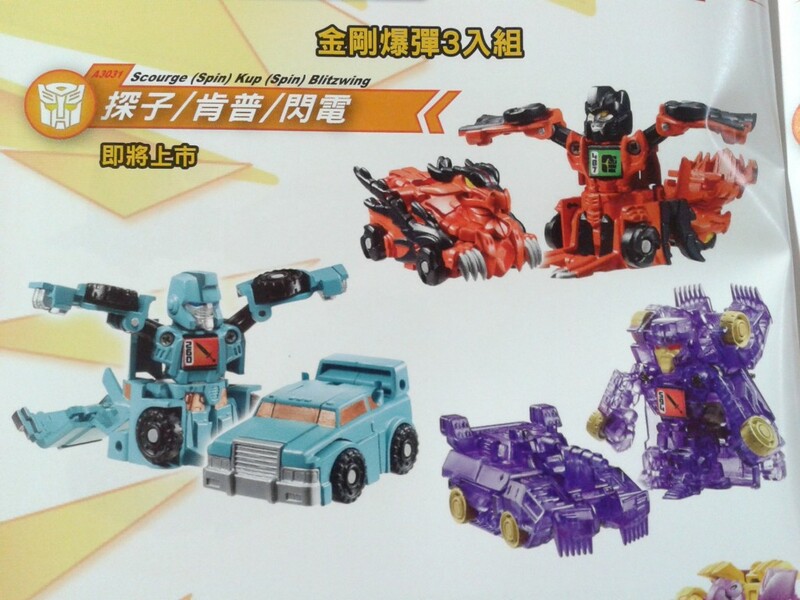 Hasbro has a lot planned for Bot Shots in 2013 many of which are sad repaints, more beast hunters, and a few gems. Now you be the judge. 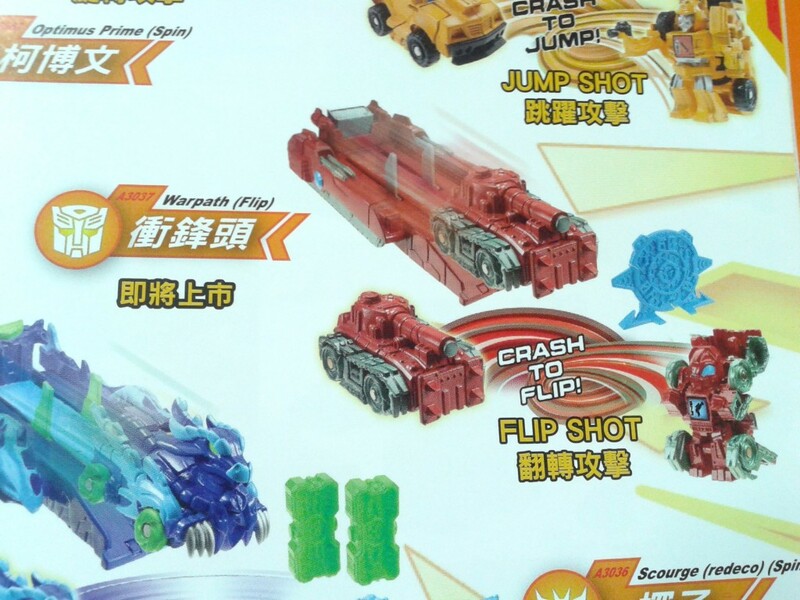 A new Skywarp mold that looks a lot like Transformers Animated alt mode. 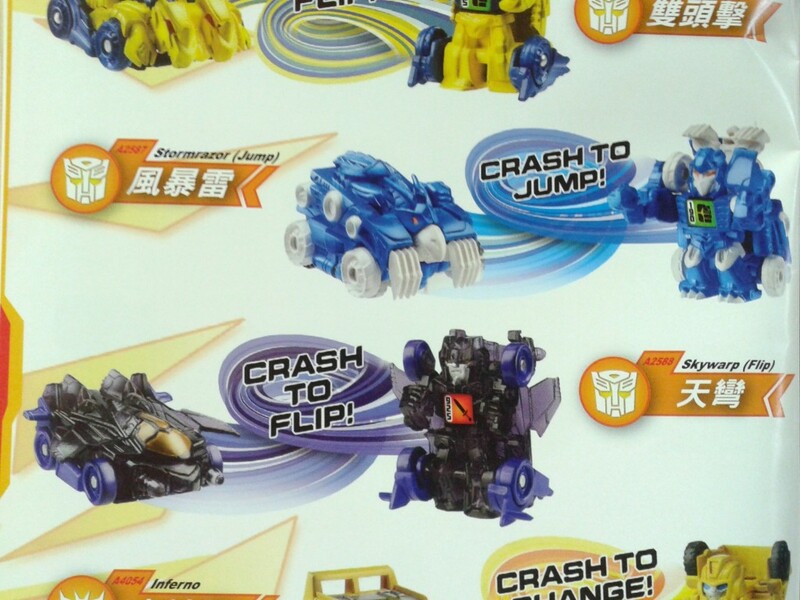 Since when was Inferno yellow, who at Hasbro made this decision??? Slap a white star on a green mold and call him Hound. They could at least remolded the head and back spoiler piece. 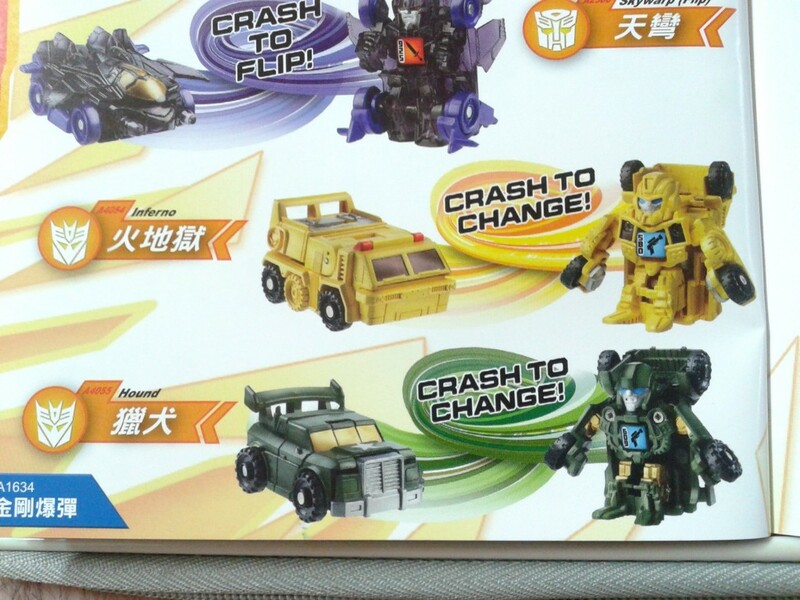 We got a Kup and Blitzwing but no custom head sculpts. Here is a gem. Warpath which is a repaint of Brawl with new head sculpt!!! This entry was posted in Bot Shots and tagged beast hunters, bot shots, crystal clear jazz, hound, inferno, series 2, skywarp, warpath. Bookmark the permalink.